BMW M GmbH President Frank van Meel has confirmed the manual transmission will be dropped from the M5 and M6. Speaking to Car & Driver, van Meel said “Demand had dropped to zero” for the six-speed manual transmission in the M6. The manual transmission has also been a slow seller in the M5 so it will be no longer be able available after the current model goes out of production this fall. Despite the decision to eliminate the manual transmission from the M5 and M6, van Meel said the company is still committed to manual transmissions. As he noted, "On M2, M3, and M4, the manual transmission will stay." The news will probably irritate some enthusiasts but the move isn't terribly surprising as the models are equipped with a seven-speed dual-clutch transmission in most markets. The automatic variants are also faster than the manual counterparts as the M5 accelerates from 0-60 mph in 4.2 seconds with the dual-clutch transmission whereas the manual variant is a tenth of a second slower. 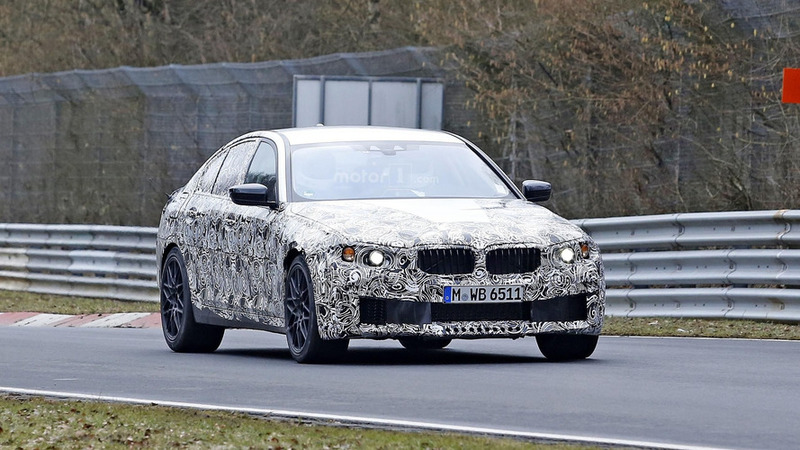 As a refresher, BMW is putting the finishing touches on an all-new M5 which will likely be introduced sometime next year. The model is expected to have an upgraded 4.4-liter M TwinPower Turbo V8 engine that produces up to 626 horsepower.